There is a very good reason for practising shamanic healing and magick together, as the shamanic path of healing is based on a magickal worldview. Shamanism does not separate the different levels of reality, but recognizes the interconnections of all levels. Problems with the physical health often have their cause in suppressed emotional trauma or negative beliefs, which may in turn have other layers of spiritual and metaphysical cause. 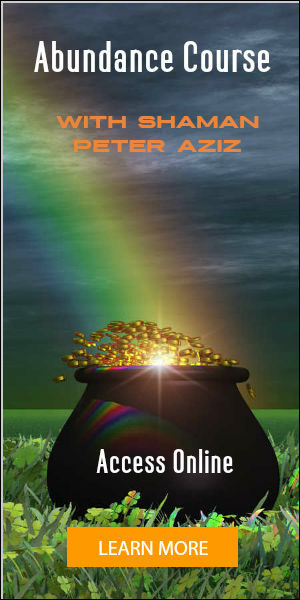 I have described how emotions are stored in the body in The Ultimate Healing Handbook; now I will go on to explain how magick is needed to fully remove the causes of these problems and accelerate healing. Where magick is really important in healing is in the ability to actually change the patterns you identify. Magick is the art of causing change in accordance with the will. Most people have various techniques for changing, but don’t really understand change. Take the simple change in consciousness of entering meditation, for instance. People may use mantras, breathing techniques, visualization, counting etc, but these are not how they change. These techniques are the song and dance you do around change, but nobody can really tell you how you change consciousness. It is an art. The power and skill of this art come from ones depth of recognition of their oneness with the source of all creation. 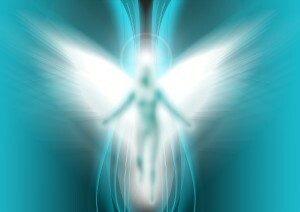 Spiritual power comes with the recognition of oneness, with becoming God, which is the foundation of ultimate healing. From this point of pure awareness, you see that you create everything, experience it, then dis-create it. This is all beyond technique, but is what makes all technique effective. From this magickal consciousness, any belief, habit, addiction, compulsion, fixed behaviour or disease can be dis-created; so it just fades to nothing. Then new awareness, strength and positive belief can be created out of source. This is where the real healing takes place. 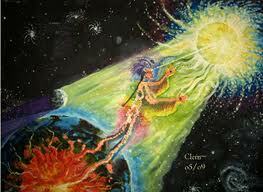 All shamanic initiations are stepping stones to this ultimate realization of being the creator. They may require prayers, mantras, spells or techniques from various traditions, but ultimately we transcend all tradition, and can operate from pure magickal awareness in our shamanic state. There are various magickal empowerments which can be given to take the student towards this kind of power. These transfer spiritual power, and lift the student ever higher towards this essential realization. The highest of these initiations is known as marifatullah, divine gnosis, Isis unveiled or divine pearl in various traditions, but is the same experience, in which you burn with a blinding light as you realize Oneness. When this happens, there is no more conflict of faith, as you see that Allah, Isis, Shiva are all the same, whatever forms, names or gender one may try to pin on it. This level of enlightenment is where anything can be healed. There are various methods of healing which try to operate from the creative source, such as Avatar, theta healing or theta magick, but many practitioners are not getting the expected results. This is because no technique can guarantee results; it is all down to the awareness the practitioner reaches. In shamanism, which should be a path of magick rather than a technique, we focus on the expansion of awareness to achieve greater and greater spiritual power. You will find that no two accomplished shamans are using the same techniques. They each find power through enlightenment, and attempt to pass it on in their own way. So you will find many different methods of shamanic healing, and many paths of magick. Yet you only know you have found real magick or healing when something touches you deeply, and there is change that cannot be explained. What I pass on are the magickal empowerments, more than theories and techniques, of shamanic healing. I will describe a few of the initiations and powers from Javanese magick, which contains some Islamic and Hindu influences, as well as its indigenous roots. Oldest are the dragon initiations. These simply put ancient and magickal powers into you, that give you that initial spiritual strength that you learn to rely on, thus building faith in the unseen. Then there is the art of tenaga dalam, which gives invulnerability, which can be proved to yourself by receiving machete strikes, again building faith. More importantly, it gives invulnerability to any negative energy or dark force, and a spiritual power that allows you to start overcoming life’s myriad problems. Then there are the Khodam sciences. These first of all bring you an angelic Khodam which expands your perception and adds further spiritual powers, with the ultimate purpose of making you more God-realized. Then as you learn to invoke many Khodams to deal with more complex problems, your spiritual power, authority, and healing potential are increasing. After the highest Khodam initiations you can receive marifatullah: the experience of oneness. Another set of initiations comprises Candali; a method of raising and building the kundalini, in safe stages. The awakening of kundalini is a basic awakening of mystical power, and takes one towards enlightenment. It is quite universal and needn’t be attached to any particular religion. Along with each stage of awakening techniques are given for using power, for healing, exorcism, hypnosis, mind control and development of intuition. The last set of initiations I wish to cover are yogic, and form a system called Ishana Vajra. This begins with the heart chakra, and awakens each higher chakra in turn; throat, third eye, then crown. This too is meant to awaken all spiritual power, but with no particular methodology. It is therefore useful to anyone of any path. Along with these empowerments, a good understanding of psychology gives the healer direction in applying their power, so any pattern discovered within the patient can be changed very quickly for their healing. 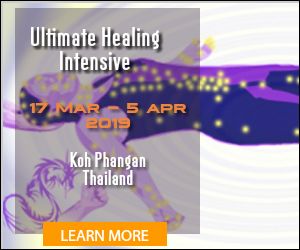 Finally, I would add that shamanic healing is not only for those who have physical ailments to heal, but is extremely valuable to all who are developing their magick, or attempting to improve their lives through any form of metaphysics. When we begin a path of magick, shamanism, metaphysics or new age mysticism, we have hope that we can create the reality we want. Many may lose hope, as they don’t know how to heal all the blocks that stand in their way, from limiting beliefs, conditioning, laws, old choices, thoughts and feelings. Limited by standard psychology, it can take a lifetime to work through all these blocks to healing. Luckily, these powerful shamanic healing arts allow anyone to achieve success fast, and get all the negative conditioning out of the way before they run out of hope. Then life can become the magickal, joyous and never ending dance of crafting the life we want, as it was meant to be. For more information and to arrange to receive an empowerment, please see the range of Spiritual Empowerments that I offer. Please contact me if you need some advice as to which empowerment might be most suitable for you. If you would like to learn to work with magick and shamanic healing, see my 10 weekend training – Tethatu Shamanic Healing – Shamanism Training and also my 9 weekend training – Magick – The Faery & Dragon Path. For an opportunity to immerse yourself in a powerful 1 or 2 week healing course where we systematically work through limiting beliefs, emotions and physical issues, please see my Body Electronics Intensive in July.